500 words from is an occasional column in which authors talk about their newly-published books. 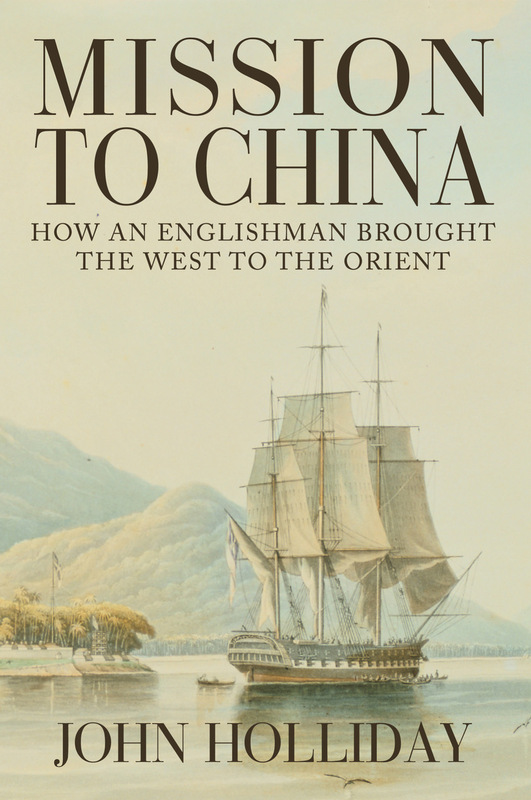 John Holliday, an Australia-based, British-born writer, has just published Mission to China: How an Englishman Brought the West to the Orient. The book, part adventure story and part social history, examines the life of one of John’s ancestors, Walter Medhurst, a 19th century Christian missionary to Chinese communities throughout Asia, and to China itself. John had long been aware of having an ancestor who was a famous missionary, but it was not until 2008 that he discovered an orphanage founded by this ancestor in Jakarta was still functioning. A visit to the city, and a commitment to build a library for the orphanage, prompted him to undertake research into Walter Medhurst’s life, and, ultimately, to write his biography. The early 19th century was a time of great change in Britain. The growth of Humanism brought debates about slavery, workers’ rights and suffrage, while Britain’s empire-building offered ambitious young men the chance to make their mark in places right across the globe. It was against this backdrop that 19-year-old Walter Medhurst must find his way in the world. He first became an apprentice printer in the west of England, but then family financial problems forced an abrupt change to his plans, and he embarked on his mission to take the Lord’s word to the people of the “exotic” Far East. John says his book details the life and achievements of a little-known figure in history whose impact in the modern world is still being felt. I grew up with my grandfather in England and he told me stories about his grandfather, Walter Medhurst, who was a famous missionary to China. I paid too little attention to his stories but later in life, during a business trip to Jakarta, I remembered that my ancestor had spent 20 years there before moving to Shanghai. To my delight, I discovered that the church he founded is now All Saints Jakarta, the oldest English institution in Indonesia, and Parapattan Orphanage, which he started in 1832, is still functioning. After that visit, I set myself a goal to write his biography and so commenced five years of research, visiting England, India, Malaysia, Indonesia and China. 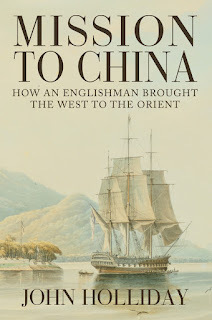 The result, Mission to China: How an Englishman Brought the West to the Orient, was published in England last September and released in Australia and America this year. Walter Medhurst was the son of a publican, who was trained as a printer at the Gloucester Herald newspaper, before being sent out to Malacca at the age of 19 to set up the press for the London Missionary Society (LMS). On the way, he was delayed in Madras, India, where he met and fell in love with a young Anglo-Indian widow. Her story of growing up as the daughter of an officer in the Madras Native Infantry added another interesting chapter to the story. Together, they left Madras as husband and wife, forming a lifelong partnership for their future missionary adventures. Walter was ordained in Malacca and he set up missions in Penang and Batavia (now Jakarta). Batavia was to be his base for 20 years from 1822, from here he would set out on exploratory trips to the Malayan peninsula, Borneo, Java, Bali, and along the coast of China from Macau to Shandong. He faced many hardships and life-threatening encounters with typhoons, pirates, and headhunters. His journals recorded his adventures. In many cases these eventually became the first published accounts of the history and culture of the places he visited. In 1836, Walter was recalled to London to discuss with the directors of the LMS the possibilities of moving into China, which up until then had been closed to foreigners. He toured Britain, speaking at functions to raise money and recruit new missionaries for the LMS, plus he published a book, China: Its State and Prospects. Shortly after his return to Batavia, Britain signed the Treaty of Nanking, which allowed foreigners to take up residence in five trading ports in China, and the Medhurst family moved to Shanghai. For the next 15 years, Walter lived in Shanghai where he established schools, chapels, a clinic which became the largest hospital in Shanghai, and a press which published the Bible in Chinese. He also became a founding member of the Shanghai Municipal Council. He made clandestine trips to the interior and endured the siege of Shanghai during the Taiping rebellion. In declining health, Walter left Shanghai in September 1856 for the 4-month journey to London where he arrived on January 22, 1857. Two days later he passed away and he is buried in the Abney Park Cemetery in North London. Details: Mission to China: How an Englishman Brought the West to the Orient is published in the UK by Amberley Publishing, in hardback and eBook, priced in local currencies.